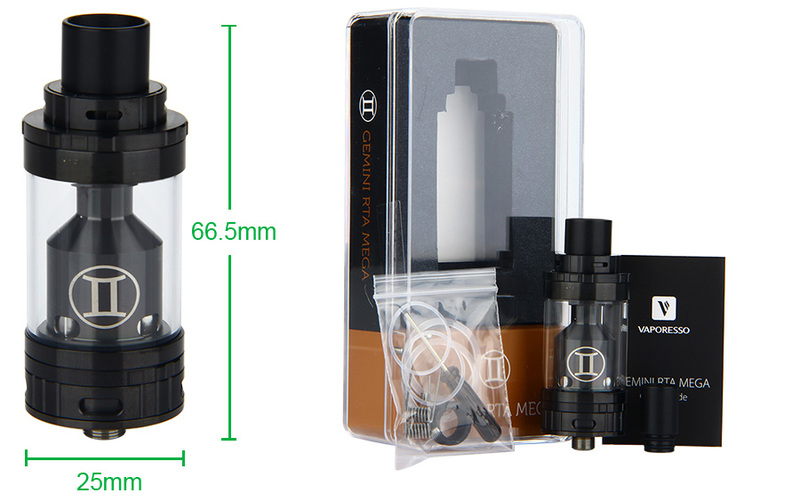 Vaporesso Gemini RTA Mega Tank - 4ml, is an upgraded version of Gemini RTA. 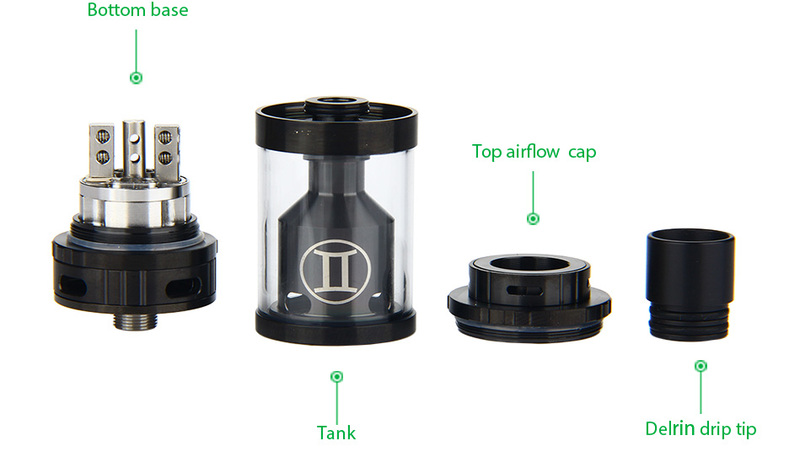 Bearing all the features of Gemini RTA, Gemini RTA Mega offers you a bigger e-juice capacity. With 25mm diameter, it is even easier to build. Please rotate the top/bottom ring to increase or decrease airflow. 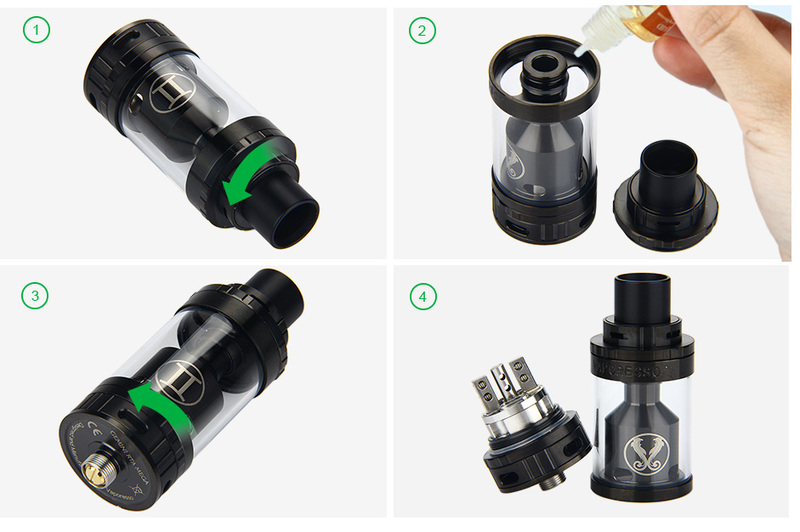 Please remove the drip tip and the top cover and fill e-juice from the top of the tank. No more than 4ml.